It was a routine training flight like any other—Archerfield to Lismore via an overfly at Gold Coast, Lismore to Stanthorpe, and Stanthorpe back to Archerfield. The weather was good—three oktas at 5000, and light wind from the south. But all that was out of my mind, I was too focused on my first solo entry into the class C airspace at the Gold Coast. My instructors told me to make a ‘go-no-go’ point—a point where I would not be able to safely clear the ranges between Queensland and New South Wales. I rotated at 10:00 local and headed south; I contacted Brisbane centre 12 minutes later while over Logan Village. I could see rotor clouds forming over the ranges—‘nothing I hadn’t prepared for’ I thought. I’ll press on. Brisbane centre cleared me to pass overhead the Gold Coast at 3000—500 ft below the now overcast sky. Still, I pressed on. The controllers at Gold Coast cleared me back onto the area frequency. I tuned into it; the frequency was silent. ‘Brisbane Centre, Cessna 172, WSA. Request.’ I said, slightly stressed by the newly formed weather. This was the ‘Situation’ phase of the decision-making process. Some experts say that this is the most crucial stage in an effective decision-making process. It is to receive and process all the information available to the pilot. I had a very poor weather forecast available to me. How accurate was this forecast? I could still make it through safely under VMC minimums, but did I want to? Would the weather continue to moderate? If so, how much worse was it going to get? At that moment, I knew that I had a decision to make—one that could mean life or death. Do I push on, descend and fly through a small valley up ahead, or turn around and try to make Archerfield? I had already been in the air for 45 minutes; every minute was costing me money. Could I really afford to turn around? But could I really afford to fly through it? This was the second part of the decision-making process—options. I knew that I should have as many options as possible. One reason why having options is so important is that choices are a product of the cerebral cortex—the higher brain. This part of the brain shuts down and gives way to the lower, instinct brain in times of panic. I knew that if I kept focused on my options I wouldn’t succumb to this adrenaline-fuelled lower brain. I flew the aircraft towards this wall of dark clouds for what seemed like hours, but in reality was probably only 10 seconds. I didn’t know what my CFI would say. As if a guardian angel was looking down on me, a light pattering of rain started to fall on my windscreen. That was it; I pushed the aircraft into a 30-degree angle of bank turn towards Archerfield. I had made my decision. There was no going back now. I looked at my maps and estimated a track back to Archerfield. It was almost a direct tailwind. I was relieved but focused. I tuned into the Archerfield ADF and lined up the needle. I was heading home. This was the act phase of the decision-making strategy. The act phase is all about monitoring and controlling all aspects of the flight. 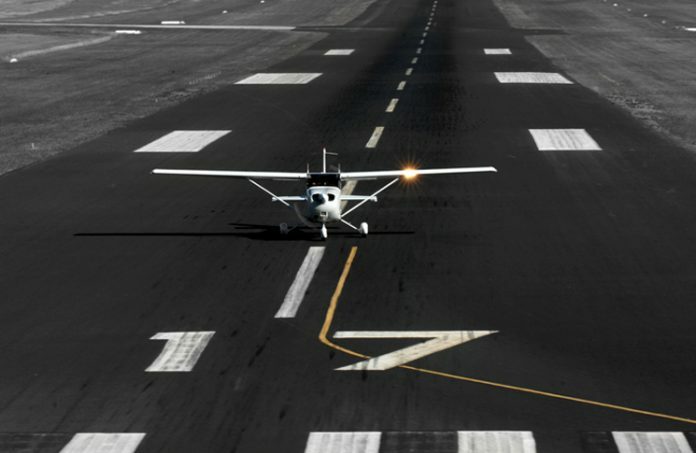 There are a number of key factors to consider while flying a decision. They are not only the initial factors of the flight, but also the reasons behind the last decision—in my case the looming weather. However, you should never let your upper brain turn off—start thinking about ‘what-ifs’. What will I do if the cloud ceiling drops? Where will I go if anything major happens to my aircraft? The answers to both of these was to divert to the Gold Coast. Here the process repeats; a new decision is made. My heavy concentration was broken by a radio call containing my call sign. The whole cycle started again, however, this time I already had my situation and options. I could skip straight to choose. Should I continue onto Archerfield and wait for the airport to reopen for VFR aircraft? This would mean risking flying into IMC conditions—one of the biggest killers of VFR pilots. The only other option would be to divert to the Gold Coast and wait out the storm, potentially costing me money. I remember the class on human factors in aviation I had taken only two weeks earlier. I remembered what I had been told about ‘get-there-itis’. I chose to divert to the Gold Coast. That decision was likely the reason that I am able to sit here and write this article. I landed and taxied into the apron without any issues. I thanked the controllers for all their help. After shutting down, I opened my phone only to find seven missed calls from my flight instructor. I called him back and could hear the relief in his voice. He explained that I had made the right decision to go to the Gold Coast as every airport in the area, including the Gold Coast, was now IFR only. What I learnt that day was not only about the volatility of the weather, but I also learnt a lot about the human decision-making process. What is that process? We’ve talked about it in the context of this event but in a more general sense, what does this process look like? The human brain is a very complex organ. It has multiple layers of thought and reason. When making a decision in the air, the brain must analyse the best options and yet continue flying the aircraft. This requires the frontal cortex as well as the rear part of the brain to be working in unison. This is similar to completing a maths test in another language. Both the deeper thought and higher brain are active and functioning. This is in essence why most crashes occur during take-off and landing (Orasanu and Martin, 2008), as the lower brain is working full tilt in order to actually control the aircraft, and the upper brain is also working hard to plan out and complete the approach and landing. This state is called full load. Orasanu, J. and Martin, L. (2008) Errors in Aviation Decision Making: A Factor in Accidents and Incidents, NASA-Ames Research Center. An excellent recount of what could have ended up n the nightly news! The one thing that stood out in that artical though was the word “COST” this is one reason that should not come into decision making but can understand why as most things we do in life has a monetary element about it. Another good thing to remember is weather & mankind do not mix, the BOM are only human & often get it wrong, the word ‘forecast’ is just that, a prediction at best. I’d love a dollar for every time I have arrived at a drome with weather forecasts stating all good only to find fog, low cloud and dreadful viz, you fly at yr own risk! Regarding COST, I very much understand the cost-thought that came up during the decision making process. Actually we always pay for our lessons in life. Be it tuition fees, online course fees or indeed the cost for flying lessons and ground school. In this case the lesson came cheap and in dollars only. It could have been much more expensive and in “kind”, in this case the loss of human life. Indeed an excellent story; the money spent on this flight was not a waste at all but a valuable lesson for the future. Well done! WSA read back the incorrect code which discredits the whole story. Maybe just a typo rather than discrediting the story? That’s besides the point, it’s the possible dangerous situation that is being told here, an all too often recount of numerous flights just like this that would happen, just that few would get told. If this story makes just one Pvt pilot think agan then it’s worth every word! The squawk read back error could quite easily have been a typo in this occasion as nothing more was said about it. Having flown in some poor weather recently both with my usual instructor and the CFI, I also had to make decisions and without prompting from either instructor so I fully understand what he was going through on a solo flight. Good work. Squawk would have been a typo but everybody is missing the point,he should have never been there. His planned route was over some of the roughest country for VFR on the east coast. He mentions a roll cloud which should have sent him back to safety straight away. That area grows some of the worst CB’s in the country and that met situation would have been evident at the time of his departure. A forecast must be interpreted taking into account knowledge of the terrain being overflown. His instructor should have counselled him to delay for another day. He was very lucky. Why was “every minute costing money” even a safety factor? I can understand waiting on the ground at a holding point for other aircraft to land (still not a safety issue), but in the air, the engine clock was ticking whether the aircraft continued to YLIS, YSPE or diverted. It’s all experience that goes into the log book, right? I enjoyed this engaging read, Noah; a first hand description of your decisive, confident flying. Thank you for sharing the information!